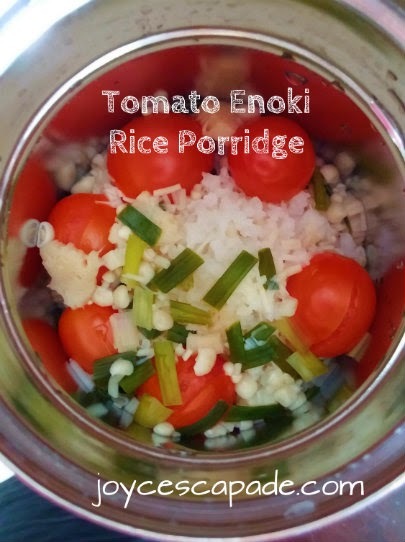 Tomato Enoki Rice Porridge (cooked in Zojirushi thermal food jar) - second trial! 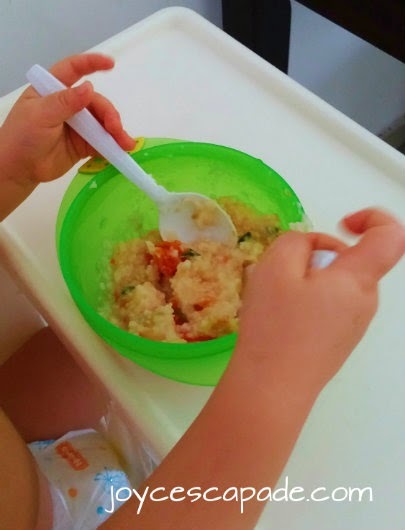 I have successfully cooked rice porridge in my Zojirushi Stainless Steel Food Jar SW-FBE75 (750ml)! My first trial with this food jar was sweet potato dessert soup. The white and brown rice that I used. 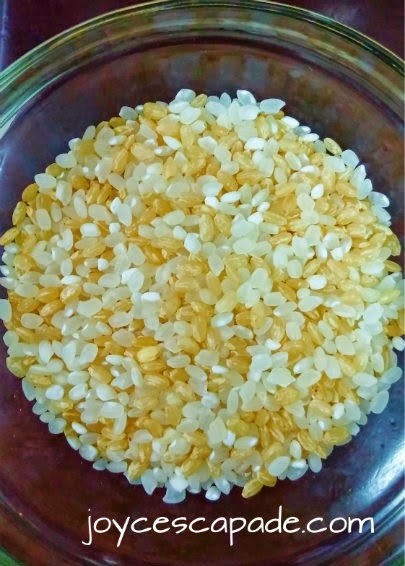 Caotun short-grain white rice from Taiwan. 1. Fill up the empty food jar with boiling water, close and tighten the lid set, and set aside for at least 2 minutes. 2. Discard the water. Put in all ingredients listed above. Pour in enough boiling water to cover the ingredients. Close and tighten the lid set. Shake the food jar for a while. After 5 minutes, discard the water carefully so that the ingredients don't spill out. 3. Pour in 2 cups of boiling water, close and tighten the lid set, shake, set aside and wait for minimum 2 hours. 4. Before serving, use a spoon to stir all ingredients to mix and test the temperature before serving. Note: Be careful with the temperature. This jar is super good in retaining heat. 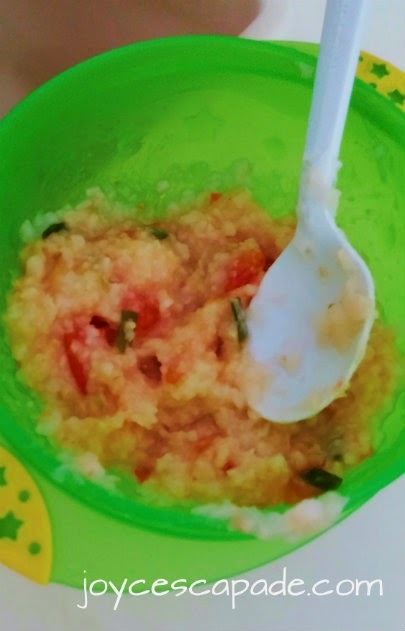 So, even after 2 hours, the porridge is still piping HOT. Thks for sharing. Intending to 'cook' rice this way when travelling, do you think green veg and diced pumpkin/sweet potatoes can be cooked like this too? I wouldnt attempt meat though for the risk of undercooking. Yes, I think pumpkin and sweet potatoes should be okay. For meat, you have to soak in boiling water separately first for about 5 minutes before adding it with the rest of the ingredients.